Tri-Cities Crime Stoppers accepts tips and information about crimes in order to solve or prevent such crimes. That includes our four legged community members as well. Study after study has shown the direct connection between abuse of animals and criminal activity by humans. Please remember when you make a report to Tri Cities Crime Stoppers, all tips are anonymous. Help prevent animal abuse and neglect. 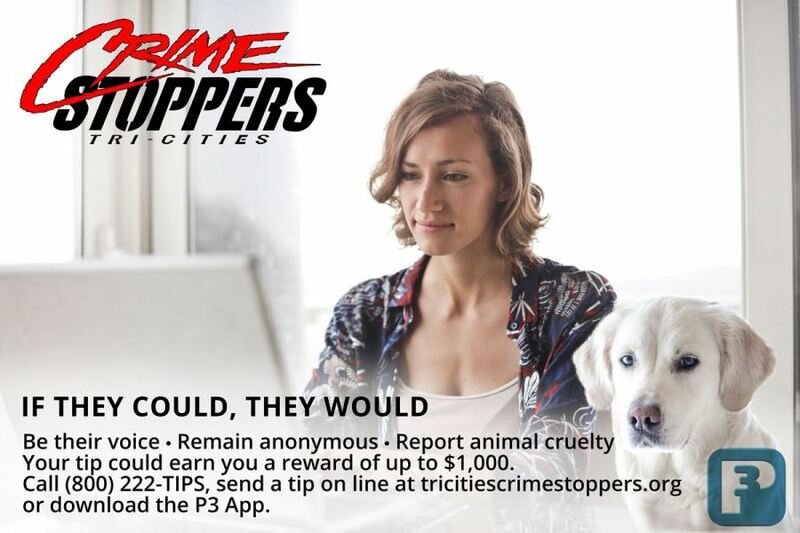 Report animal abuse and neglect at (509) 586-8477, (800) 222-8477, submit a tip online or download the P3 mobile app if you have information on any ongoing criminal activity.